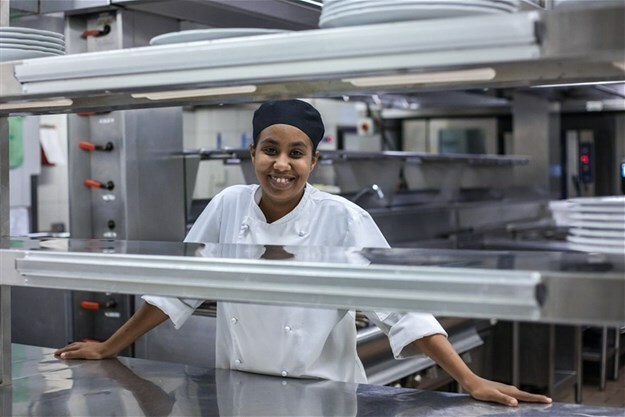 Twenty-five-year-old chef de partie, Lisa Ford from Parow was recently put to the test against other young chefs from the Western Cape in the regional Jeunes Chef Rôtisseurs Competition, and, having trumped the competition, will represent The Table Bay in the national event. Ford, along with six other competitors from the Western Cape will go through to the national event taking place in April 2019; there they will compete against other talented young chefs from across the country. "I feel honoured and privileged to be representing The Table Bay, which is widely considered one of the very best hotels in South Africa. Chef Keshan sees so much potential in me, and I appreciate that he’s always trying to push us to do competitions and better ourselves as chefs. "I am excited to be going to the national finals of the Jeunes Chef Rôtisseurs Competition. By participating in competitions like these, we as young chefs get to learn so much. We grow and learn not only from being under immense pressure but also from watching other competing chefs in action. The exposure is also beneficial because it gets your name out in the industry. It’s good to be recognised," says Ford. Ford joined The Table Bay in 2016 as a commis chef and was promoted to chef de partie earlier this year. "We are right behind her and look forward to seeing how she does in the national event. It is important to nurture and develop aspiring chefs in an industry that is impacted by a shortage of appropriate skills," says Joanne Selby, Table Bay general manager who wished Ford all of the best for the next leg of the competition. The Jeunes Chef Rôtisseurs Competition offers young chefs the opportunity to demonstrate their culinary skills in a competitive environment with their peers. The competition is open to chefs up to 27 years of age with less than five years of professional experience.